Remembering the good and the bad from DS9, 2018 Rittenhouse Star Trek Deep Space Nine Heroes & Villains revisits the sci-fi series with a detailed trading card release. Stars of the popular 1990s show are documented with three autographs per box, and several inserts, as well. 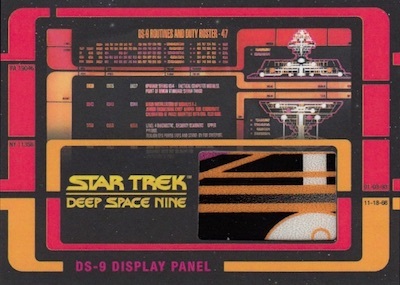 Delivering "100 of the most memorable Heroes and Villains from both the Alpha and Gamma Quadrants," the Star Trek: Deep Space Nine base set includes a numbered Metal (1:24 packs) parallel that comes in each box with a print run under 100. Falling 1:8 packs and totaling 36 cards, the Star Trek ArtiFex "Rules of Acquisition" inserts display two images per card of Warren Martineck artwork. There are also one-of-one Originals featuring hand-drawn art from Martineck. Other options include DS9 Aliens (1:24 packs; 9 cards), DVD Covers (1:48 packs; 7 cards) and Ships of Line (1:48 packs; 9 cards), as well as numbered Metal DVD Covers (1:288 packs; 7 cards), and Relationships (1:144 packs; 18 cards). Toppers come in every case, and include Heroes Montage and Villains Montage versions. In addition, the 2018 Rittenhouse Star Trek Deep Space Nine Heroes & Villains checklist is loaded with cast signatures! Beyond the main Autograph cards are Silver Signature Autographs and Dual Autographs. These signed cards combine to average three per box.
" 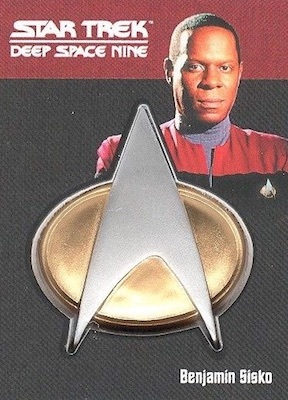 Baseball Patches (1:144 packs; 12 cards), Archive Cut Comics (1:144 packs; 15 cards), Communicator Pins for Kira and Sisko (1:864 packs: 2 cards), and Display Panel Relic (1:288 packs). 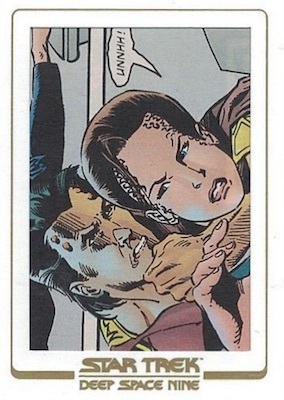 Sketch cards are also a case hit in Rittenhouse Star Trek Deep Space Nine Heroes & Villains. Adding a little extra are the various Star Trek DS9 Heroes & Villains incentives. These are earned by purchasing cases of product, with each tier listed below. 2018 Rittenhouse Star Trek Deep Space Nine Heroes & Villains boxes carry standard pricing of $99.99. The official binder for the set sells for $24.99 and comes with an exclusive promo card. PARALLEL CARDS: Metal (1:24 packs), Printing Plates (Archive Box). 66 cards. Overall autograph odds - 1:8 packs. 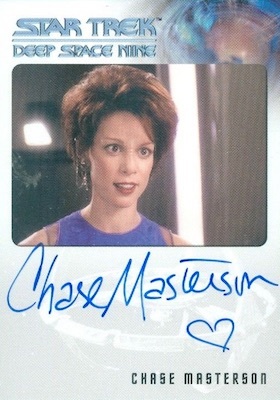 Shop DS9 autographs on eBay. SP Odds Key - Extremely Limited (EL) = 100-200, Very Limited (VL) = 200-300, Limited (L) = 300-500. 6 cards. Overall autograph odds - 1:8 packs. 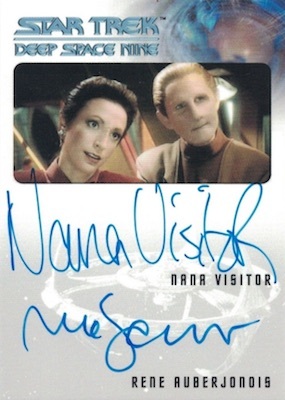 Shop DS9 autographs on eBay. SP Odds Key - Extremely Limited (EL) = 100-200, Very Limited (VL) = 200-300. 15 cards. 1:144 packs. Serial numbered #/99. CC02 Judgment Day, The Conclusion! PARALLEL CARDS: Metal (1:288 packs).